Welcome to Earthco Premium Soils Inc.
EARTHCO, a family owned and operated business, established in 2005, is one of the largest manufacturers and providers in Nova Scotia of premium organic soil mixes, premium quality mulches, compost and landscape gravels. We recycle blueberry waste and leaves into high quality compost. We recycle Christmas trees into natural mulch. 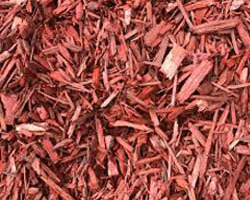 We recycle bark from saw mills, often burned at bio-mass plants, into Double Grind Bark Mulch. We recycle kiln dried lumber from saw mills, often burned at bio-mass plants, into high quality coloured mulch. Recognized by many industry professionals for our high quality Seed Quality Lawn Soil, Blueberry and Leaf Compost, Triple Mix Garden Soil, Double Grind Bark Mulch and Coloured Mulch. We take pride in securing the right raw materials; compost (the organic content), including blueberry compost and leaf compost, proper gradations of sand and a small percentage of clay or silt to create premium quality organic soil mixes. Premium quality screened blueberry compost and leaf compost for garden amendments and top dressing. Our blueberry compost is naturally sourced from blueberry processors and our leaf compost is sourced from HRM. We use kiln dried lumber to manufacture our premium quality colour enhanced mulch at our Sackville processing site. 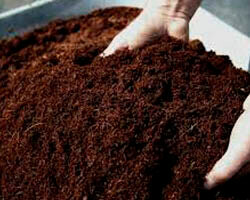 Similar care is taken in manufacturing our double grind and single grind "bark" mulch and our "natural" mulch. 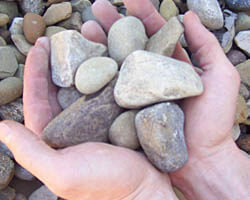 Landscape gravels are sourced from our sandpits and quarry gravels from our quarry in Hants County. All are screened and sized to meet industry standards. 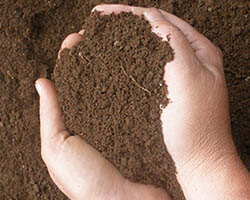 We often get requests for non-standard products, whether soil mixes or ground material. Let us know what you require and we will let you know if we can do it. Prices shown are for small loads up to 5 cubic yards. For orders greater than 5 cu yards please contact out office for pricing. Delivery and HST extra. Serving Halifax, Dartmouth, Bedford, Sackville, Fall River and Tantallon. Mulch deliveries throughout mainland Nova Scotia.